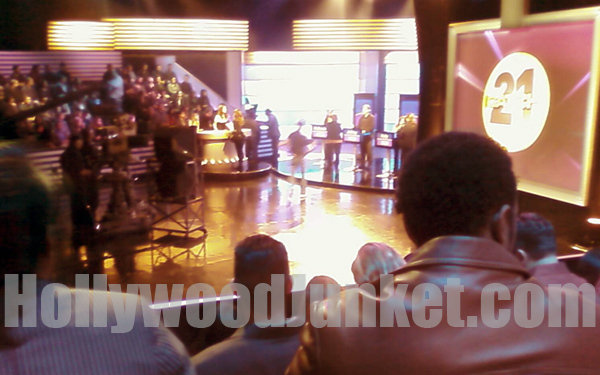 GSN’s original Black Jack style game show, “Catch 21” is finally back filming for its second season! A show I predicted to be a hit after spending many days on set during the show’s first season. I’m glad I was right, and everyone at HOLLYWOOD JUNKET is also thrilled to be part of season two. Host, Alfonso Ribeiro and co-host/dealer Mikki Padillia both return with a dynamic as ever chemistry. The show kept with the same color scheme and same game rules as last season. It is also reported, that the show stayed with the same final round stage. 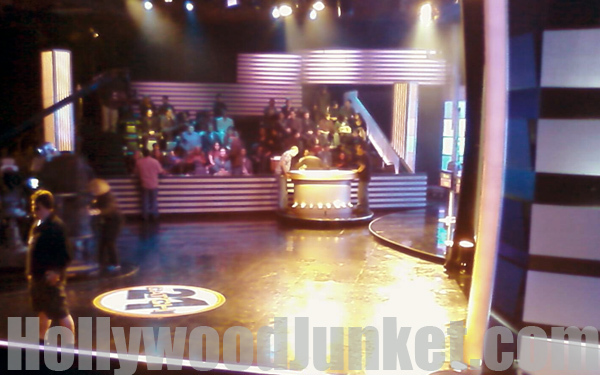 It is a separate stage from where the rest of the show is filmed with three competing contestants. One change reported that was not made was the end of the game set. It was reported to be the same as the first season. The main difference, there is now audience seated in the background of this particular stage where there was none before. The amount of money to be won on “Catch 21” remains the same. Contestants may win up to $25,000 as their grand prize. Co-Host and Card Dealer on the show, Mikki Padillia looked beautiful in her bright outfits worn on stage. Sponsor of the show, Foster Grant eyeglasses was sported by the stunning Padillia. More to come as we continue our coverage of “Catch 21” this season.